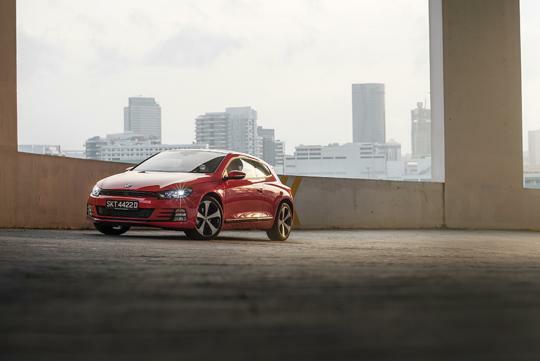 Unveiled at 2008 Geneva Motor Show, its been almost 10 years since the reveal and the end for Volkswagen's Scirocco has come. The sporty and good-looking coupe has been well-loved on our shores, with many yuppies buying it and souping it up. However, according to other European publications, the car was deemed as one of the more slow-selling models Volkswagen had in their line up. Despite receiving decent reviews when new, the the model faded in popularity over the years as European sales peaked in 2009 at 45,248 units. Sales did not improve even after the facelift and Volkswagen only moved 10,752 units in Europe last year. No replacement for the car has been officially announced but rumors suggest that if the model does make it into production again, it will likely be an electric car with a range of between 322-603km. Most people wants crossovers and SUVs... ptooi!! Well it had a good run..
should have sold it in america. That untapped market could have gave it a second life. Think the crash testing of a 2008 design would be a problem if they tried to start selling it in the US now.